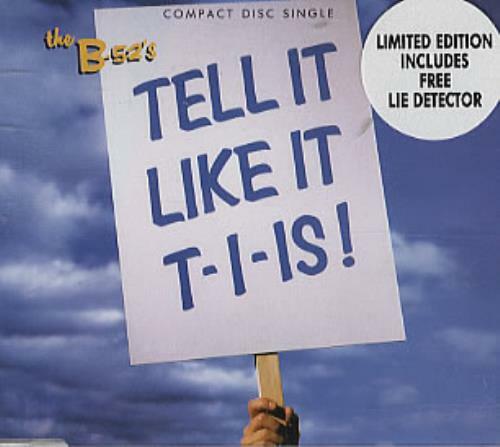 B-52s Tell It Like It T-I-Is (Deleted 1992 UK limited edition 5-track CD EP, features Edit Version, MK Respect Mix, MK Mix, MK Dub and MK Underground Mix, with exclusive free 'Lie Detector'!, picture sleeve housed in its original hype-stickered slim jewel case! W0130CD). or visit our B-52s image gallery.